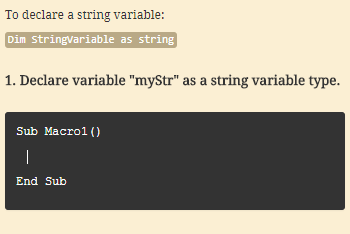 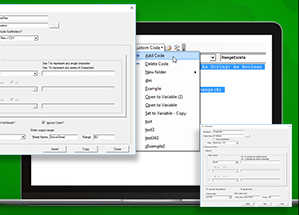 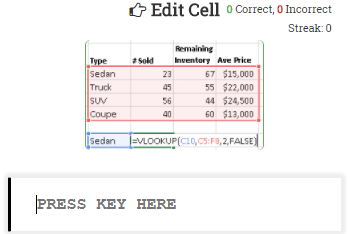 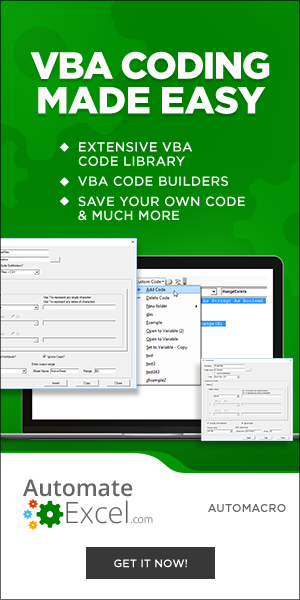 AutoMacro: VBA Add-in with 200+ Ready-To-Use VBA Code Examples & much more! 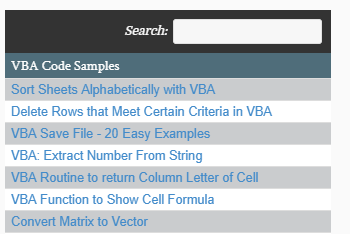 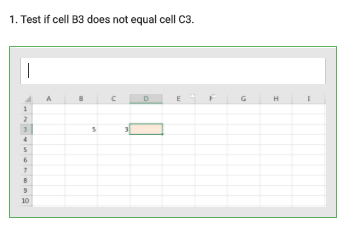 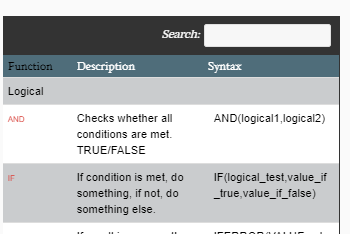 Search the list below for free Excel VBA code examples complete with explanations. 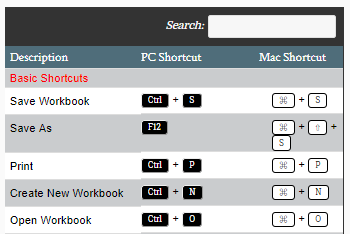 Some include downloadable files as well. 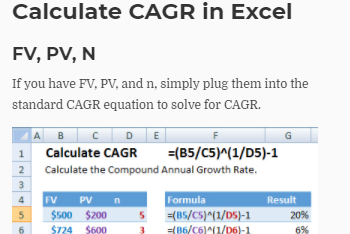 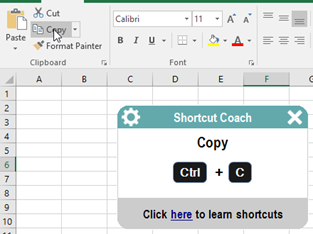 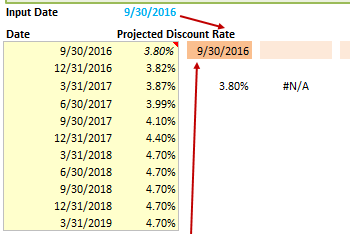 These Excel VBA Macros are professionally developed and ready-to-use.